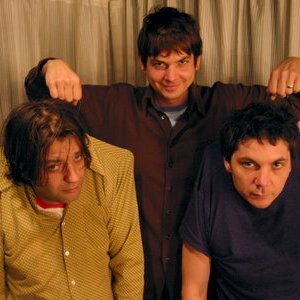 Loose Fur is an American rock band comprising Jeff Tweedy, Glenn Kotche, and Jim O'Rourke. They have released two albums, Loose Fur (2003) and Born Again in the USA (2006). Both records have been released on the Drag City record label. The genesis of Loose Fur occurred in May 2000, when Jeff Tweedy asked multi-instrumentalist Jim O'Rourke to play with him at Chicago's Noise Pop festival. A few days before the festival, Tweedy and O'Rourke rehearsed together at the Wilco loft, and O'Rourke invited his friend, drummer Glenn Kotche, along. The genesis of Loose Fur occurred in May 2000, when Jeff Tweedy asked multi-instrumentalist Jim O'Rourke to play with him at Chicago's Noise Pop festival. A few days before the festival, Tweedy and O'Rourke rehearsed together at the Wilco loft, and O'Rourke invited his friend, drummer Glenn Kotche, along. There, they worked on several new songs for Tweedy's May 14 performance at the Double Door (and which later appeared on their self-titled album in 2003). Tweedy was so invigorated from working with both O'Rourke and Kotche, that he brought them into his Wilco family soon after: Kotche became Wilco's new drummer (replacing Ken Coomer), and O'Rourke mixed their landmark album, Yankee Hotel Foxtrot. In 2005, the trio wrote and recorded songs for a new album. On November 17 of that year they appeared together during a solo Tweedy show in New York, where they performed Laminated Cat from their first album and a new song, The Ruling Class from their upcoming album.